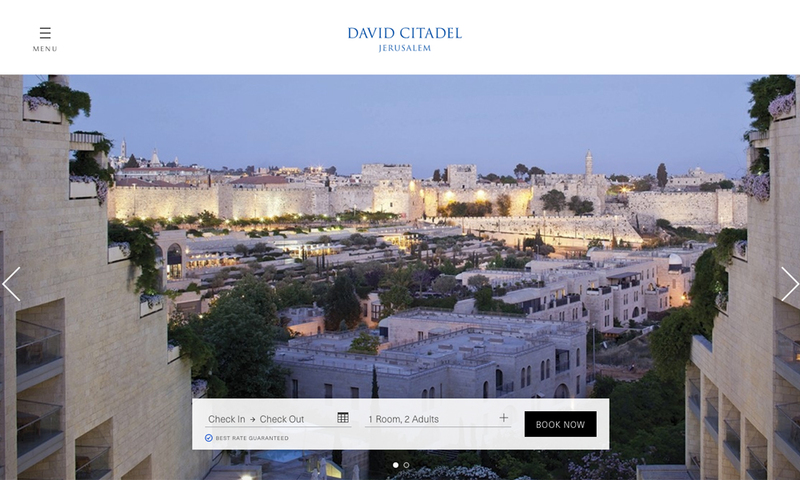 The David Citadel Hotel, with a majestic view of the Old City and now also completely non-smoking, is within walking distance from the city center and is situated directly across from Alrov Mamilla Avenue and other major attractions. The hotel boasts 384 impeccably designed suites and guestrooms, fine cuisine, a luxury gym and a holistic innovative spa, year-round heated pool, and private executive lounge. The hotel's exquisite modular banquet halls and reception rooms host a variety of social and business gatherings.